Using black and white for more of an Industrial look can be very family friendly! The creamy white sofa and soft rug add a cozy element to the room. Decorating with black, white, and mixing metals a bit creates a warm and inviting space. White sofas are so great because we can view them as a blank canvas, having fun mixing and matching colors. Creating a cozy cottage look is easy using black and white primarily. The room feels cozy because of the use of soft lines and bringing in natural elements such as greenery. 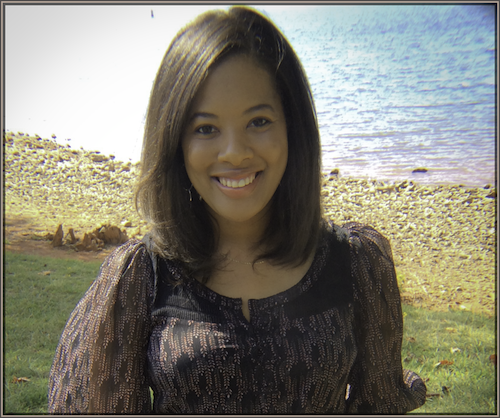 Lots of interest is added here by mixing various black and white patterns and prints. The balance of using dark and light furniture creates a very lived-in comfortable space all can enjoy! Who says black and white has to be the main color scheme in a room to achieve a bold and sophisticated look? Simple accents in black and white can liven up any space, even one using softer colors primarily. 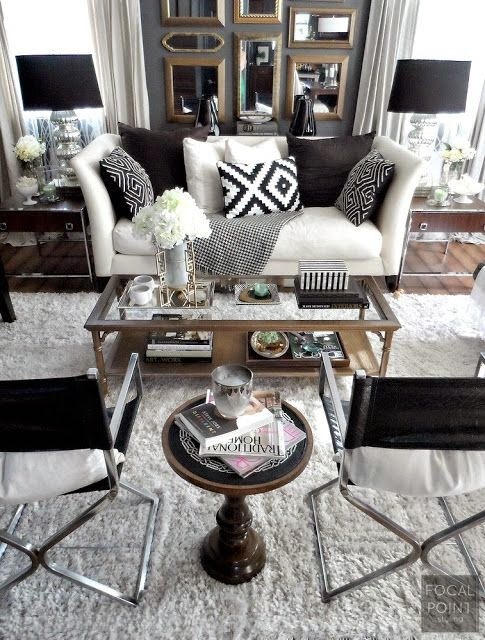 A black and white geometric print rug can add lots of personality to any room! Rugs, vases, trinkets, accent walls and more can be a great way to add just a touch of black and white when decorating. These are just a few of the looks I love when using black and white in home decor. The possibilities are endless because these colors seem to just go with everything! 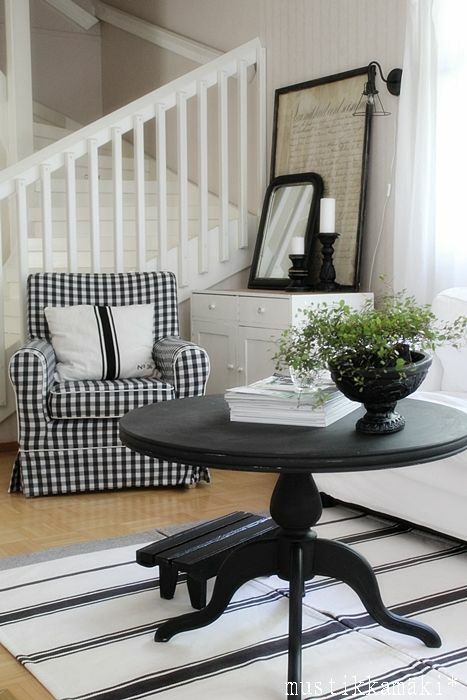 Do you like to incorporate black and white into your home decor?